The next new Halo game isn't for Xbox One or PC -- instead Halo: Fireteam Raven is an arcade machine built for four-player cooperative play. 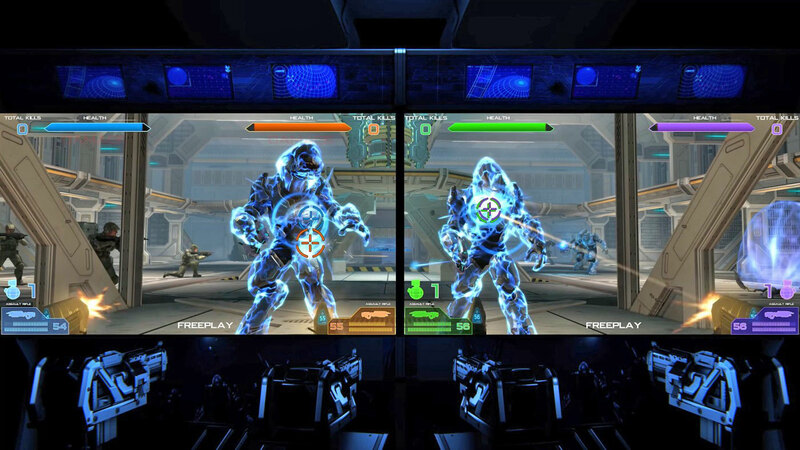 A 130-inch 4K screen lets all the players take aim on a rail shooter experience in the environment of the first Halo game. You won't play as Master Chief, however, as players take the role of ODST troops fighting Covenant aliens for control of the ringworld alongside the series star and other familiar characters. The setup will debut this summer at Dave & Buster's locations in the US and Canada, and it links up to your Halo experience on other platforms via waypoint and a scannable QR code to track high scores online.